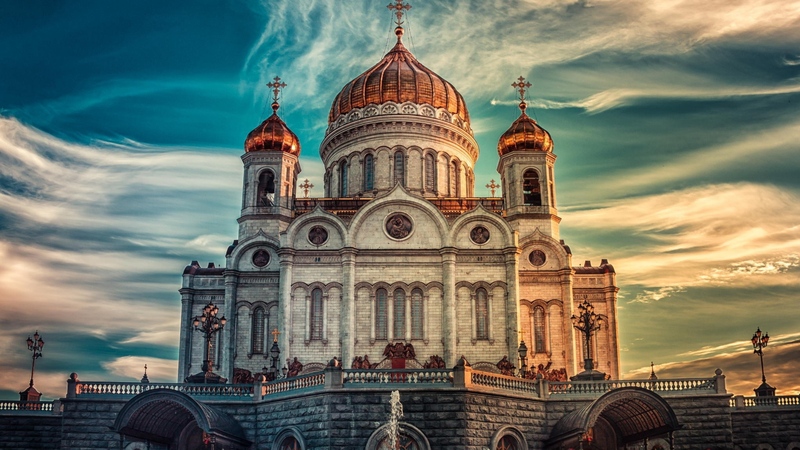 The story of Christ the Savior Cathedral in Moscow is a remarkable one, and well known by many Orthodox Christians in our time. Like so many of the stories of the New Martryrdom, however, few Americans know about it. One of the largest Orthodox churches in the world, it was originally built in the nineteenth century. But it was blown up on orders of Joseph Stalin in 1931, and became the site of a remarkable–and almost comic–effort by the Communists to establish a new, post-Christian culture. Rebuilt after the collapse of Communism, it is in some ways a monument to the resilience of Christianity in the modern world and of the durability of Christendom. Few Americans are aware that one of the most popular musical compositions associated with Fourth of July fireworks demonstrations–the 1812 Overture–was the work of a Russian, Peter Tchaikovsky. Even more remote to our American experience of cultural history is the fact that the work was actually composed for the consecration of an Orthodox church, Christ the Savior Cathedral in Moscow. Completed in 1883, it was designed as a “monument-temple” to commemorate Russia’s victory over Napoleon Bonaparte. (Tchaikovsky’s Overture, incidentally, features the use of live cannon fire at the end when the melody of the French Marseillaise is literally blown to pieces by the melody of the Imperial Russian Anthem, and it is this that assured it popularity in its future adoptive homeland of America). After the cathedral was consecrated it became a symbol of Russian Orthodox Christendom. Its architecture was designed self-consciously in a more native style than earlier structures of imperial Russia, which had become thoroughly westernized since the time of Peter the Great. 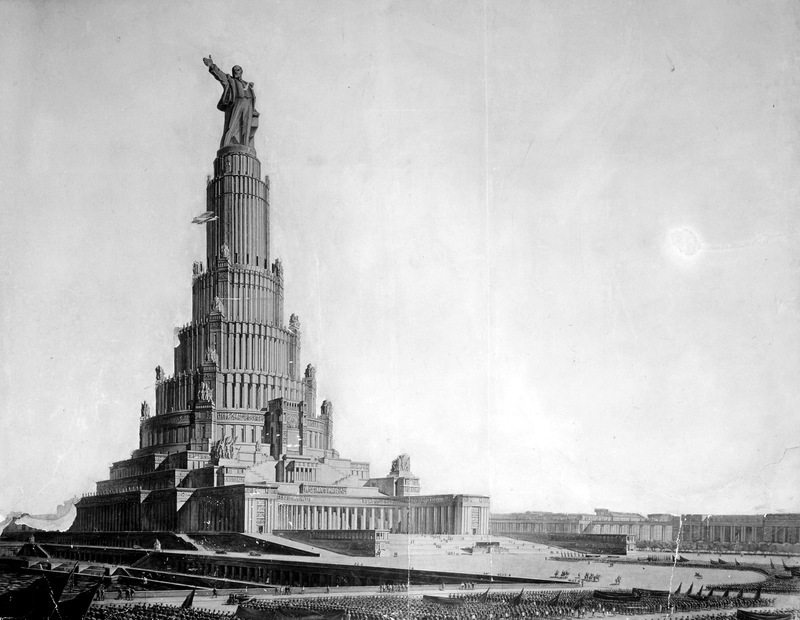 This was one of the reasons Stalin decided to demolish it. It represented historic Christendom, not the secular utopia of the west. The Communists were proud of their barbarity, perhaps not unlike the Taliban destroying Buddhist monuments in Afghanistan or ISIS destroying the archaeological treasures of Palmyra. They actually filmed the spectacle (though not very effectively; the first charge failed to bring down the mighty structure and a second try was needed). What they planned to build in its place spoke volumes about the cultural revolution. The cathedral’s successor would be nothing less than the tallest building in the world, surmounted by a statue (in light of my earlier posts, readers can guess of whom) taller than the Statue of Liberty in New York. 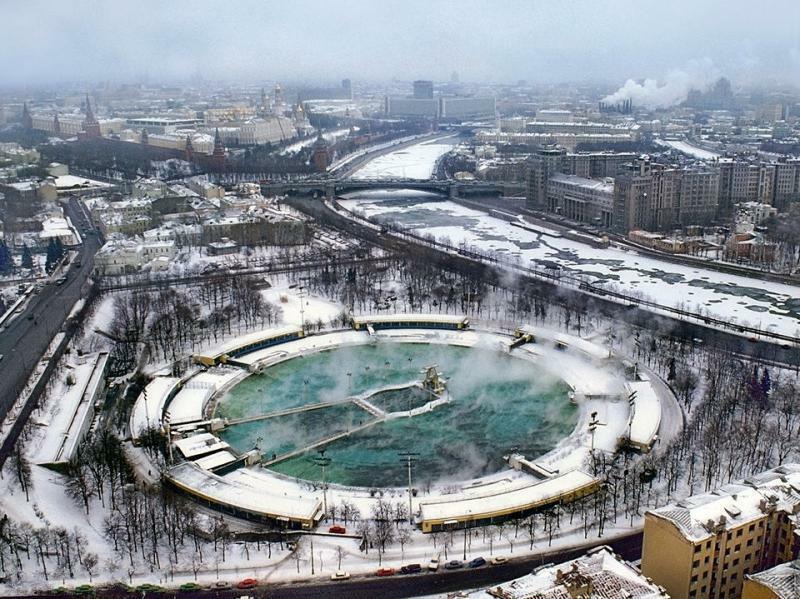 The plan proved impossible to achieve, and instead of a huge skyscraper the Communists built the world’s largest public swimming pool. At least the citizens of the most progressive society in the world would be able to enjoy a good swim, even in the middle of winter! 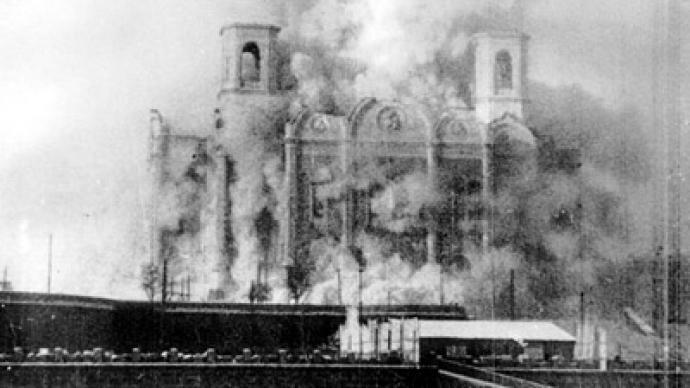 By 1991, when Communism came crashing down in Russia, plans were already underway to rebuild Christ the Savior Cathedral, and I will talk about the significance of that event in contemporary Christendom later. Thats what i call a swimming pool !